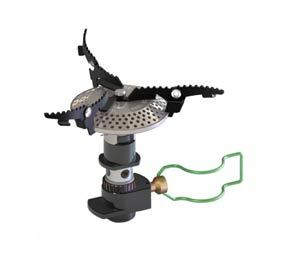 The first stove I purchased was the Optimus Crux Folding Stove. 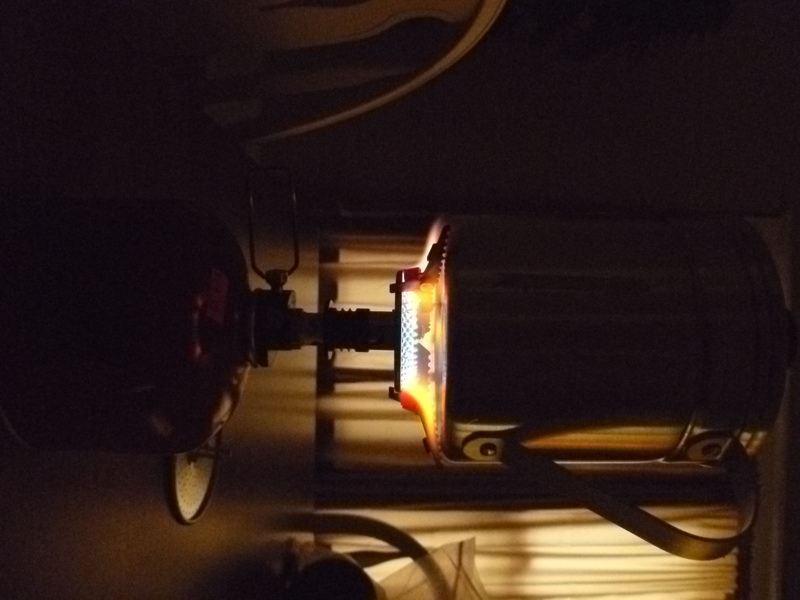 This little gem seemed to be the happening thing in some of the forums when I purchased this little stove. The stove weighs as little as 3.1 oz and folds away so that you can store in the smallest places. This has turned out to be a super little stove, regardless of the slight issues I have had with them. I would definitely recommend this stove to anyone searching for a canister stove in particular, however I would suggest trying to go and buy one in person so that you can play with it first. 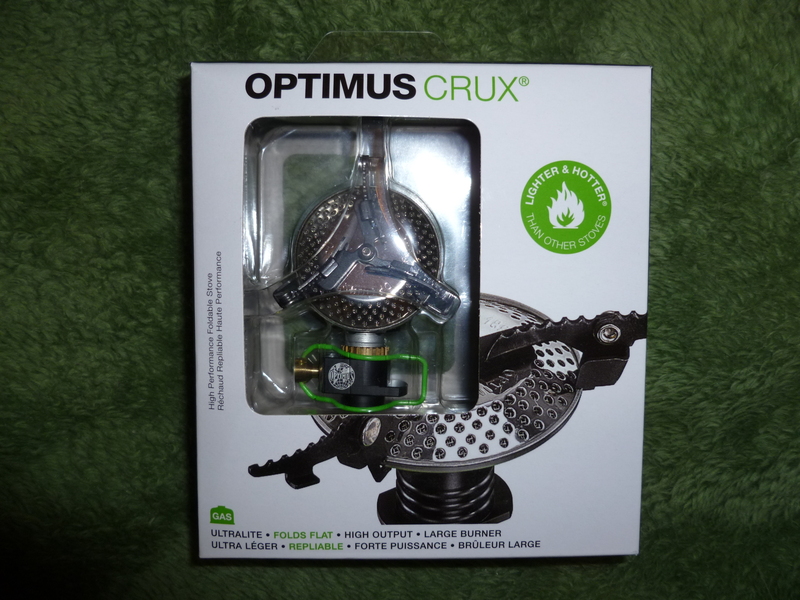 I have written a full review on this Optimus Crux and it can be read here. The only issue I had with it was that the top burner head seemed to wobble a fair amount. Due to this, I always took great care when using the stove, taking care to be sure that it was as stable as could be…and thankfully I never actually spilled any items off of the stove. However, I did decide to contact Primus about this and ask them if there was anything I could do about it. They very quickly responded and told me that I should send it in so that they could look at it. So, I did. A few short days after I sent the stove into them, they got back in touch with me via email and told me that the stove was not supposed to be that wobbly at all and offered me a new one as a replacement! So, I said sure. Then again, a few short days later there was a new stove in my hands! This entire process was very quick and I was very impressed. I didn’t expect this outcome at all, however, I must say that I was very happy with it all. My buddy decided to head out on the trail with me, however, he had nothing as far as backpacking gear. However, thanks to my addiction, I was easily able to outfit him with all that he needed. Part of this outfitting was the Optimus Crux. When I got home I grabbed my collection of canisters and started trying the stove on each one. In the end, it did the exact same thing. So, I again decided I would get in contact with Primus. I sent them an email and explained the situation and they again responded that I could send it in and they would look at it for me. As soon as she had emailed me the address, the mail man had it in her hands not 10 minutes later (perfect timing). I shipped the stove on a Friday and via confirmation the stove was received the next Monday. I waited a while and never got an email back, so about 2 weeks later I sent an email asking about the status. A few days went by and I sent another one. Soon after I received an email that stated they had received it and the technician would have to look at it. About a week later I received word back that they could not figure out what was wrong with it and would ship out a new one, again. So, this morning as I was walking out of the house I found a package. The UPS man enjoys sneaking up to the door and leaving the package rather than knocking on the door and handing it too me. So, this afternoon I opened up my 3rd Optimus Crux. I first checked the head. It too is solid! Check. Next, I pulled out the canisters. I grabbed the one that felt the least full and screwed the stove on. I grabbed my IMUSA grease pot and filled it with water. Then I turned the green wire until I heard gas spewing from the stove. I quickly struck my fire steel and the stove came alive! I quickly played with the settings, first turning the stove all the way up (it gave off the jet sound like most other canister stoves do) and then down…way low…and it went there…Check! So, I put the water on. I didn’t time it, but just wanted to let it run for a little bit. It brought the water to boil very quickly. So, I turned the stove down, and watched the water quickly go to a simmer, then back up to a full rolling boil. My daughter and I did this a few times and I was satisfied. So, I am happier with this one right off-the-bat than I was with the 2nd one, however, I still do not expect to use it. Of course though I can still let my buddy use it. Although, I must admit that I am considering selling it. I don’t know, I will just have to see. Despite the shortcomings of 2 of the stoves, and the fact that I don’t have plans to use it, I am still impressed with the Optimus Crux. The one that I have now is fairly light weight (3.3 oz) but thanks to the swivel head, it will pack down tiny. This one seems sturdy and the flame on this one will adjust from a simmer to a boil, easily. And of course, it will boil water in a snap!